Apple is petitioning Ireland's High Court to fast-track a legal dispute over its planned datacenter in Athenry, hoping to avoid a wait up to 18 months for a normal judicial review. The company has specifically applied to be on the commercial list at the High Court, which can speed up disputes with over 1 million euros involved, the Irish Times said on Tuesday. That could shorten the wait to six months or less. The motion will be heard by the High Court on Nov. 7. 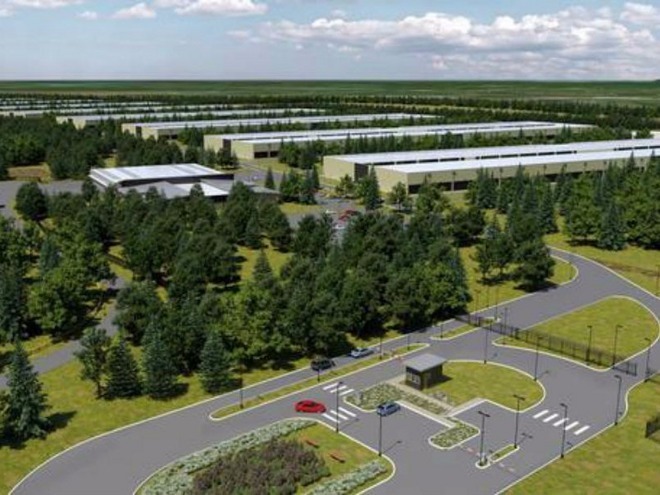 Apple first announced plans for the Athenry datacenter in Feb. 2015. While the project has had private and governmental support —crucially, from Galway County Council and An Bord Pleanála —it has also faced a number of objections over concerns like power use, potential flooding, and disruptions to local wildlife and livestock. The request for a High Court judicial review stems from three private objectors. Ireland was originally expected to play home to Apple's first European datacenter, but a Danish center —announced at the same time as the Irish one —is now set to be the first, since construction on it is already underway. If and when it's finished Athenry datacenter is expected to cost at least 850 million euros, and eventually grow to up to eight halls.